Russia employs its strategy across Europe. In 2014, Russian soldiers entered Ukraine without identifying insignia, leaving a semblance of plausible deniability. Lukoil, a Russian oil company, paid the legal fines of a pro-Kremlin adviser to the Czech president, allowing him to maintain his influential position while not technically accepting money from a foreign government. Similarly, a Kremlin-linked bank granted the party of former pro-Kremlin French presidential candidate Marine Le Pen a loan to fund her presidential campaign, while a Russian energy firm created an elaborate scheme to funnel money to a pro-Russian Italian politician for the European parliamentary elections this spring. None of these schemes are directly tied to the Kremlin, but its influence is clear. And the Kremlin’s strategy isn’t reserved solely for Europe. American neo-Nazi groups and secessionist organizations have been granted safe harbor in Russia and, in some cases, have even been supported by organizations that have ties to the Russian government. However, a degree of separation always exists; rarely is there evidence showing these organizations have received direct support from the government of Russia. This strategic ambiguity was clearly part of Russia’s calculations in its attack on the 2016 U.S. election. Russia worked through intermediaries, such as WikiLeaks; built up nonstate actors, such as the Internet Research Agency; and pursued an intricate business deal with a presidential candidate that may very well have been legal, or difficult to charge. 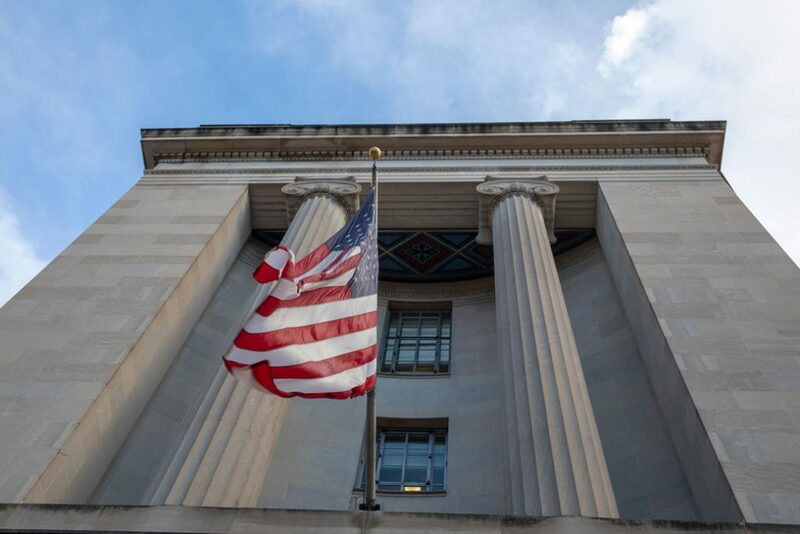 While Russia thrives on ambiguity, allowing it to interfere in other countries’ democratic processes, the United States’ response to the attack has largely been conducted through a prosecution lens, focused on indictments and what can be proven in court. This response is necessary, but it is insufficient to address the threat America faces. The United States needs a strategy that defends against these asymmetric attacks while still preserving its own values and standards. To this end, a recent case provides a helpful playbook on how to move forward, based on the twin principles of transparency and cooperation with democratic allies. Last October, U.S., British, Canadian, and Dutch authorities jointly and publicly blamed Russia for a widespread hacking campaign against the West and other international institutions. The targets included the Organisation for the Prohibition of Chemical Weapons in The Hague, Netherlands, which was investigating chemical weapons attacks in Syria and the poisoning of Russian dissident Sergei Skripal. Russia also targeted a laboratory in Switzerland, a nuclear power company in the United States, and agencies involved in uncovering the Russian Olympic doping scandal. The Russian goals here were to attack and discredit the organizations investigating Russian misdeeds—efforts that the United States and NATO allies countered in a way that was impactful for two reasons. First, they exposed the Russian scheme, revealing the details of Russia’s malign activity to the world. Rather than providing a quick summary, Western governments instead went for complete exposure, holding press conferences and providing detailed evidence of how the Russian suspects committed these crimes. Copies of the suspects’ fake passports and photographs of the hacking equipment, vehicle license plates, and airport taxi receipts revealed the tactics of the Russian operation. Russian President Vladimir Putin knows that he cannot win on a level playing field, which is why he resorts to covert and subversive tactics to sow doubt and discord; he wants to operate in the shadows. Exposing these efforts to sunlight undercuts that advantage. For this reason, making the information gathered as part of the Mueller investigation available to Congress—and, to the fullest extent possible, the public—is vital. This includes not just Mueller’s report but all of the findings as well—including the underlying documents and the results of the counterintelligence investigation. Robust transparency should be part of the strategy to deter future attacks. Moreover, the United States should be fostering relations with its allies in Europe, instead of sowing divides. The Trump administration’s antagonism toward its allies, which was on display again this past week during NATO’s 70th anniversary, undermines the nation’s collective security. The ultimate strength of democracies is their openness and transparency, as well as the relationships they foster with like-minded allies. We’ve seen how adversaries can use these values to undermine democracies, but the United States and its allies should also use them to their strategic advantage. Although it cannot comprise the entirety of the United States’ response, public transparency should be an integral part of it when possible. James Lamond is a senior policy adviser at the Center for American Progress.